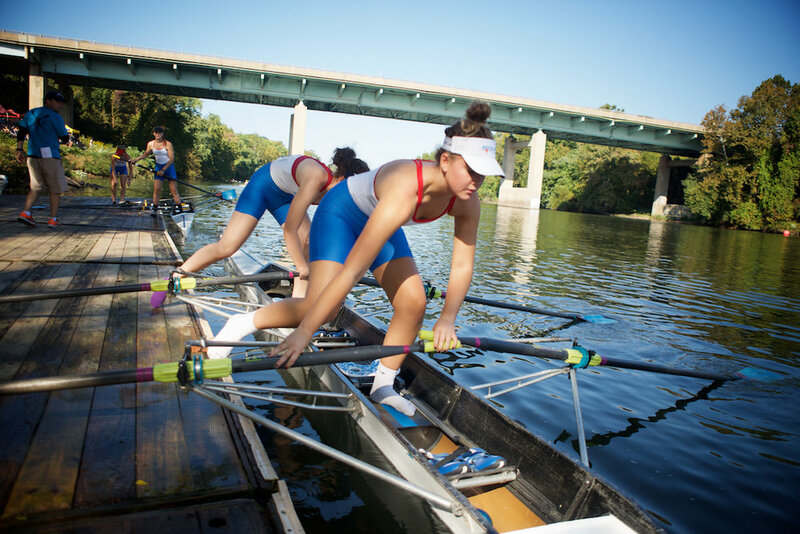 Schuylkill River, Bridgeport, PA - The under 19 youth rowers opened the fall season at the King's Head Regatta hosted by the Upper Merion Boatclub. 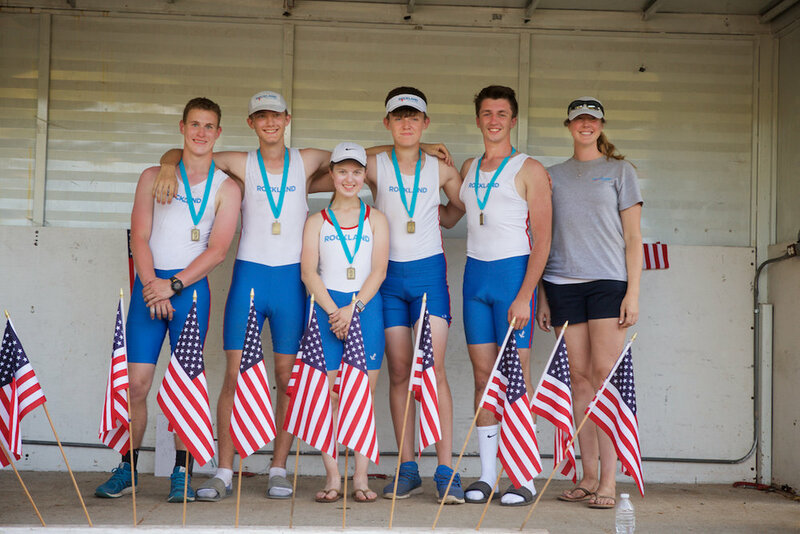 Much like the unseasonably high temperature of 90 on race day, the Rockland Rowers were just as hot capturing two medals, including one gold, and a top half finish in four events entered. This race kicked off a full schedule of head racing. Head races are typically two to three times longer than the spring sprint races and with most fall "Head" races, the athletes will proceed down the course in single file in a time trial format competing for the best time. 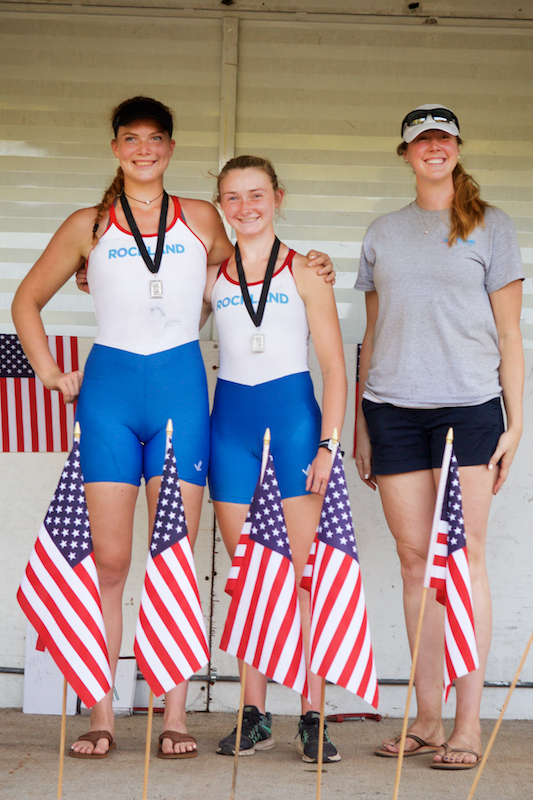 To lead off the day, in a field of 19 in the girl's varsity double sculls event, Chloe Young Ridgewood '18 (stroke) and Gabriele Welp IHA '19 (bow) were runners-up to Nereid (20:02.75) taking silver with a time of 20:04.70. 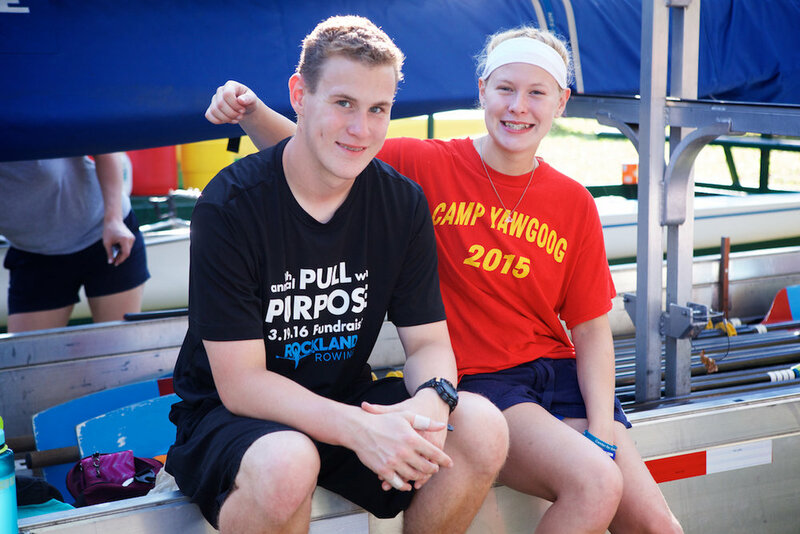 In their wake was over a half dozen crews from the Mid-Atlantic region such as third-place ACRA (20:27.10), Whitemarsh, Harvey's Lake and Germantown. Having already raced down the 2.8 mile course, Young (stroke) and Welp (bow) joined Ariel Deljanin N. Valley '18 (three) and Michaela Davidson Clarkstown North '19 (two) in the girl's varsity quadruple sculls and posted a respectable top half performance finishing in 19:30.81, just 19 seconds off winner Whitemarsh (19:11.6). 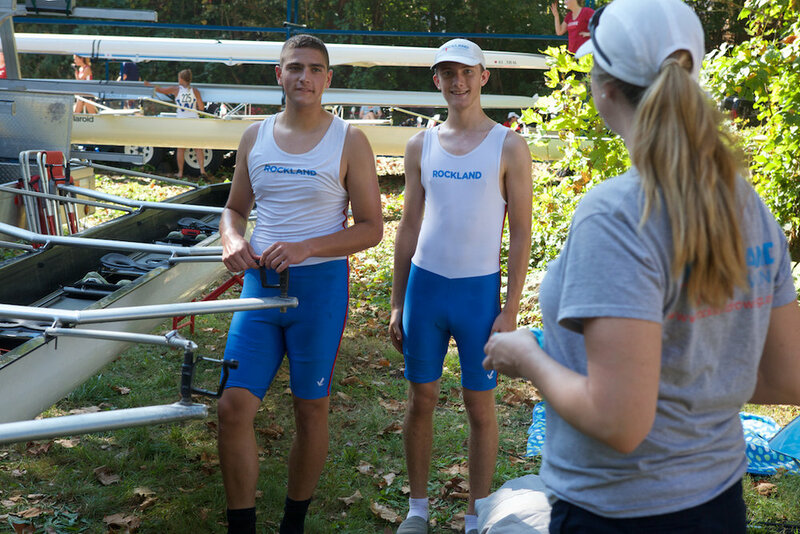 The highlight of the day was an unexpected victory in dominant fashion in the boy's junior varsity four with coxswain where the crew of Ryan Almond Clarkstown North '20 (stroke), Anthony Rostek Tappan Zee '20 (three), Anthony Feteira Clarkstown South '19 (two), Matthew Davidson Clarkstown North '19 (bow) and Emilie Mazzola Briarcliff '18 (coxswain) took home gold in a field of eight. They finished in 18:58.52 nearly a minute ahead of second place Gunston School (19:54.68). "This result should serve as a confidence boost as they continue their training," said coach Boyd. 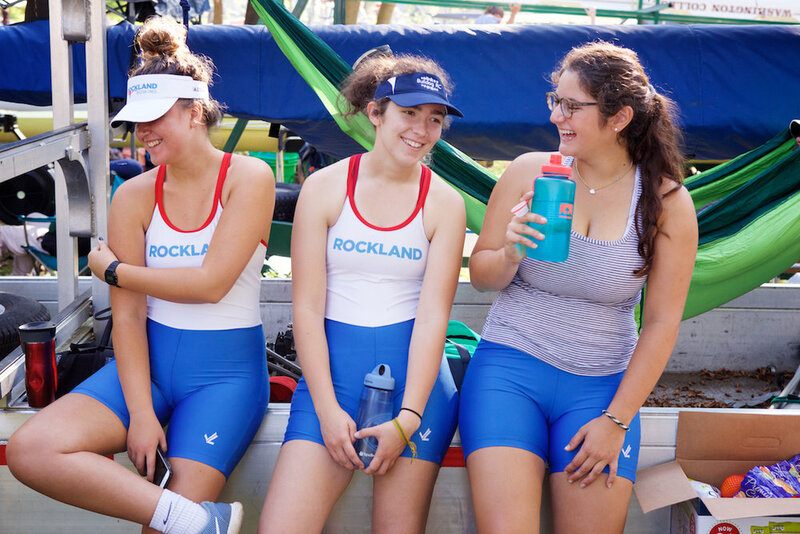 "It was a solid start to our 2017-2018 campaign for all the Rockland rowers who raced today." 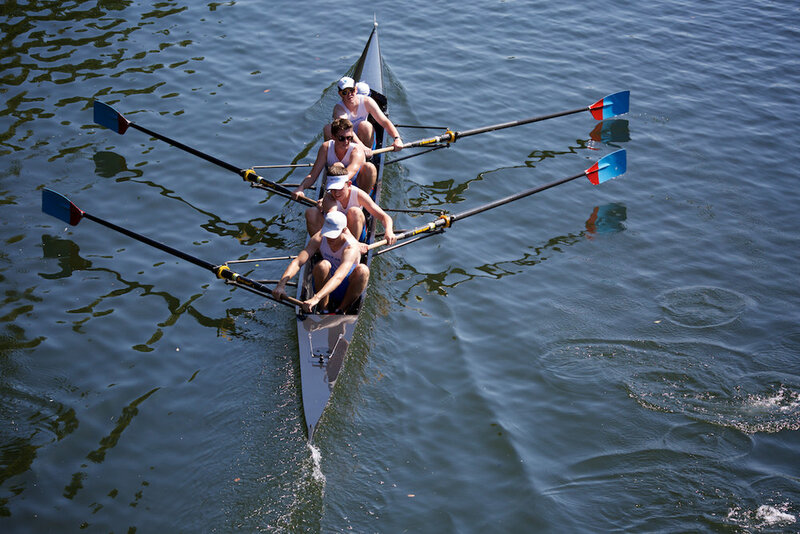 Next up is the Head of the Riverfront Regatta on October 1 in Hartford, Ct.